Summer for KiDs Beach Club® Area Directors is all about ramping up for the coming school year. In June, KBC hosted two different training retreats for its Area Director teams to help them serve our growing partners of churches and schools in their area with excellence. Our Texas Club Relations Team met at a retreat center in Junction, Texas for three days of training and recreation. Specific training involved how the team can better support Beach Club volunteer leadership to improve three specific areas: volunteer enlistment, behavior management and keeping clubs gospel centered. Each evening included a time of worship, Bible teaching and prayer, helping the team spiritually prepare for the upcoming year. The Independent Area Directors and Strategic Growth Team met for three days at the KBC corporate office in Bedford, Texas, utilizing the ministry’s new training space, which was completed in early June. 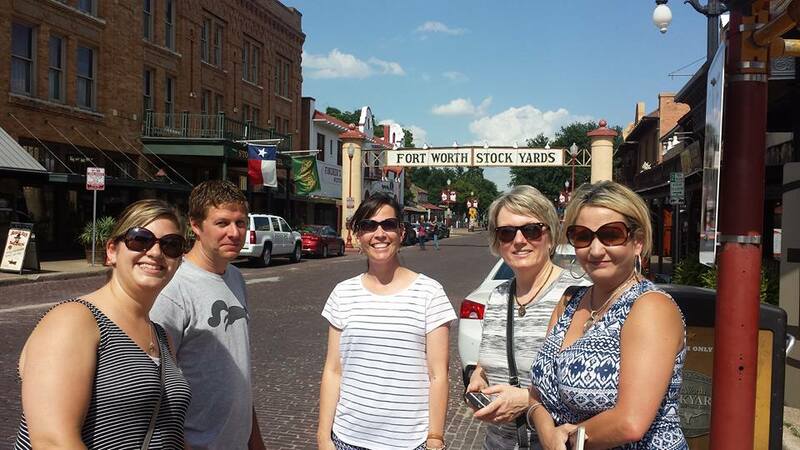 Since all Independent Area Directors live outside of Texas, they were treated to the “full” Fort Worth experience with meals like Texas barbecue and a visit to the historic Fort Worth Stock Yards and Sundance Square. Training included refreshers on basic KBC processes, new tools for strategic growth and practical tips for working from home. Both teams took time to celebrate how God worked in the past year and look ahead to what’s coming this year. The KiDs Beach Club® team is a family focused on a shared mission and vision to connect kids to Christ and put Bibles in their hands. “We believe God has great things in store and our teams are equipped and enthused about making next year, KBC’s best year yet,” Leach added.